When a bride comes and tells you that she’s been dreaming about the KookyBoooth the night before her big day, you take it as a massive compliment! 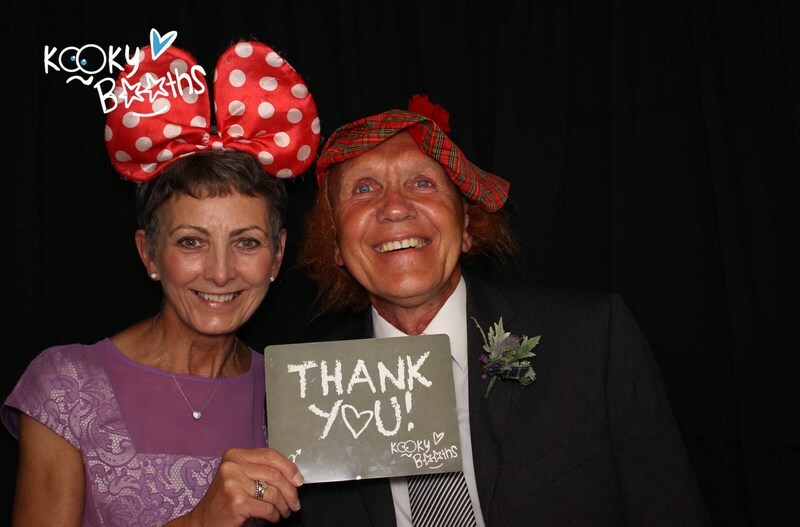 Deb & Tim had even booked their KookyBooth before they’d even booked their venue! We just LOVE that!! This is the first time that we’ve Kookyboothed at Courtlands House, Exmouth and oh what a venue it is!! This lovely couple had just the most gorgeous weather, and as we pulled into the venue, we were literally gobsmacked by the utter beauty of the view! It really is a beautiful venue and we’re looking forward to returning next Friday! 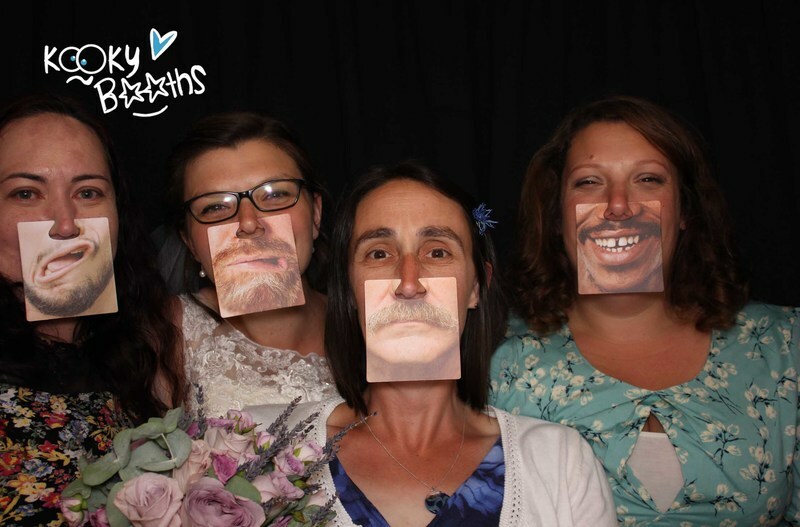 And then we met Deb… the beautiful bride! 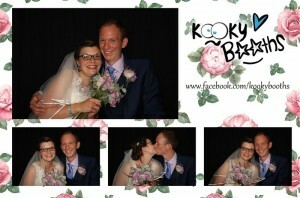 Deb & Tim are such a lovely lovely couple, so incredibly relaxed which made for just such a lovely atmosphere. I (Laura) spent far too much time speaking to Nick, Tims brother thinking that he was Tim! (You look very alike guys!!) but it was all laughed off of course! 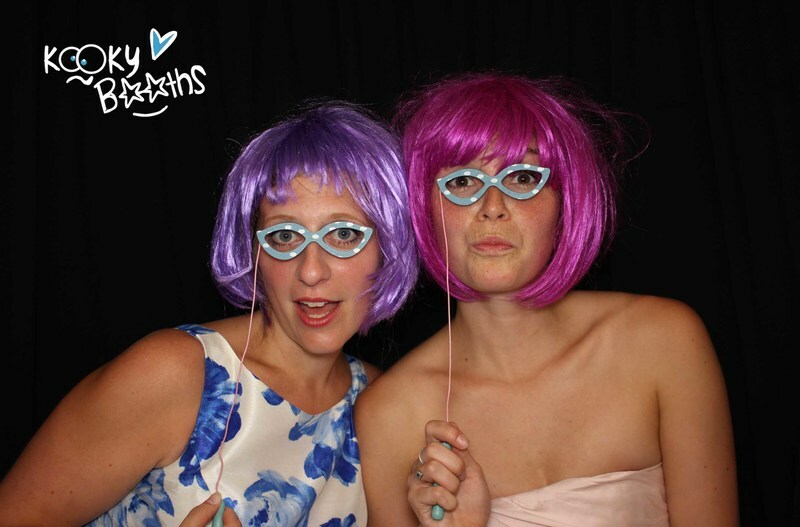 We took along our gorgeous “Pretty Vintage” booth along (of course) which fitted in beautifully with the venue / decor. Deb had requested a “pretty/vintage/floral” backdrop to the photos, which as it happened, matched her bouquet beautifully! As they had also requested the “duplicate copy” option, each guest stuck a copy of their photo into their personlised guest book ( which also matched the bouquet and backdrop). A perfect momento for them to look back on. As well as the video messages that their guests left for them too. Again, there was a beautiful mixture of hilarity and sentimental messages ( a teary bridesmaid included, bless her). We met the couples chosen wedding photographer also, Benjamin Robert Muir who’s blog can also be found here. Really lovely guy and clearly an incredibly talented photographer. His photos really fit their elegant / classy style. Benjamin even got into the Kooky groove and took his camera in the booth too! 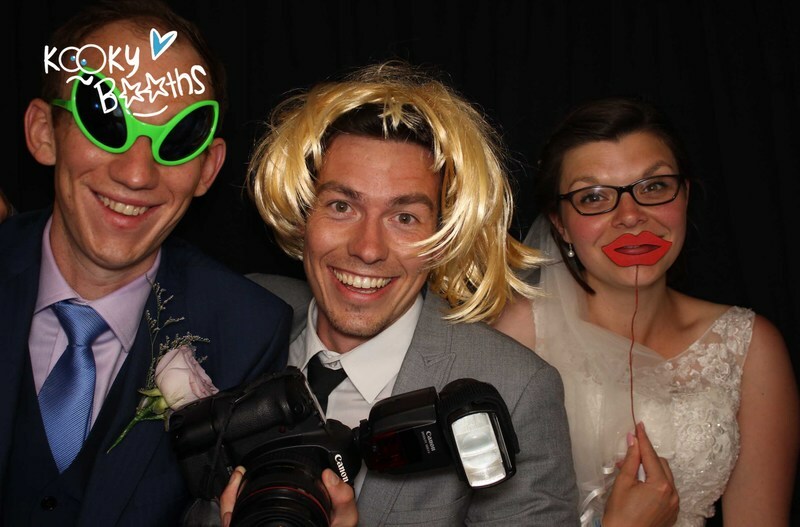 (see below) We do love it when our fellow wedding guys get involved! 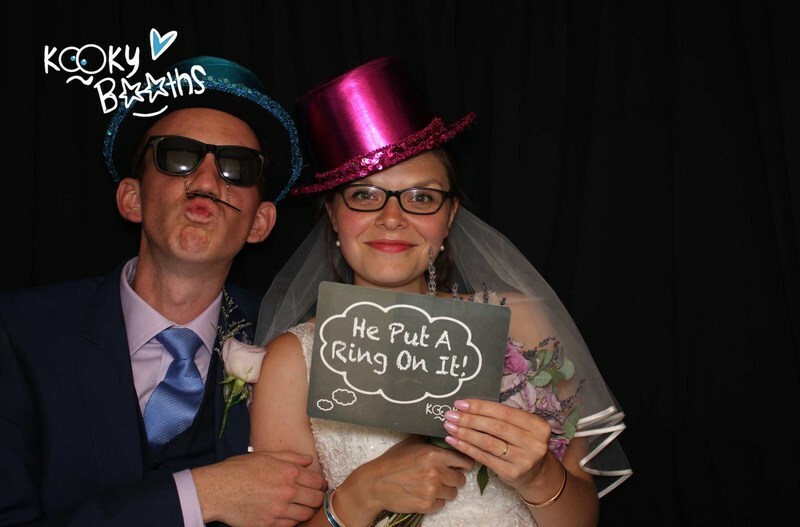 All in all a fantastic wedding reception was had, and it was an absolute pleasure to be involved in such a beautiful couples big day. You have some fabulous friends and family guys, it was so lovely to meet you all. All the best for your future together as husband and wife. Thanks again for having us!